Our spacious 7ft containers offer more than enough space for the contents of a small to medium-sized flat – approximately 100 boxes, or the contents of a larger-sized van. Great for furniture storage, our 7ft containers are also used by many businesses for the storage of commercial and industrial equipment. Also a great choice for temporary storage during renovations, refurbishments and relocation. Gardening equipment, office furniture and personal items of any kind – all stored safely and securely for the lowest possible price. 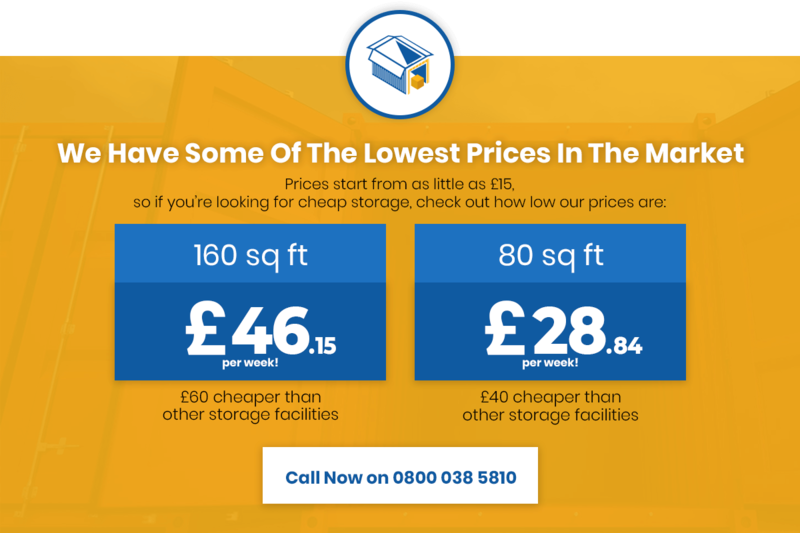 Available for the low price of £27.69 per week or £130 per month, we work hard to make high-quality storage accessible and affordable. As all prices and terms are flexible, we’d love to hear from you to discuss your storage needs.